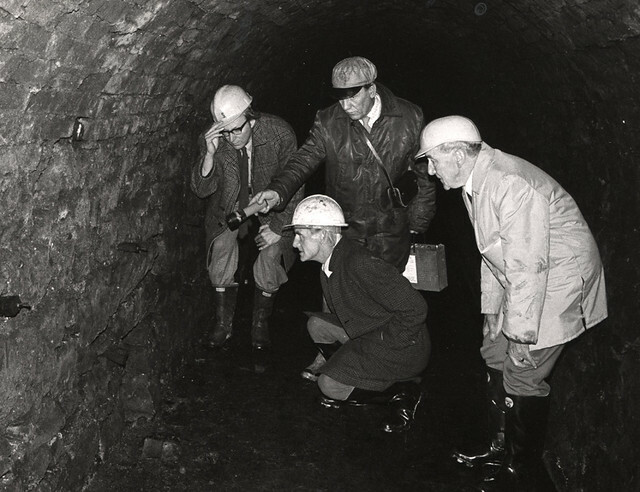 Victoria Tunnel was built between 1839 to 1842 to carry coal from Spital Tongues Colliery to the River Tyne. 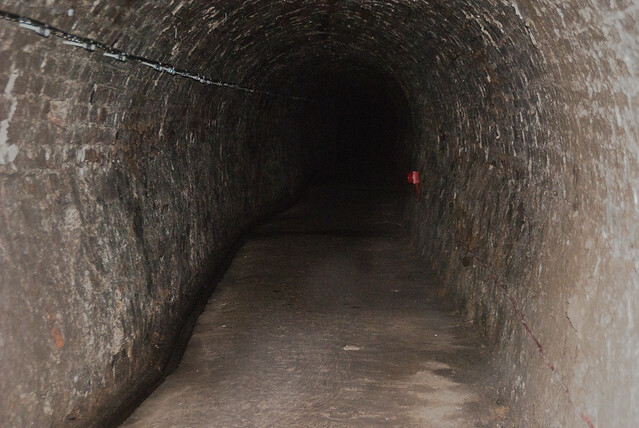 The waggonway tunnel was 1½ miles (2.4km) long and had a maximum depth of 85ft (26m). 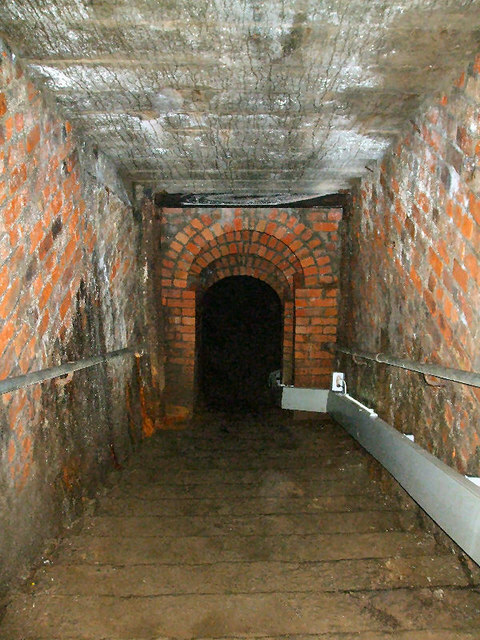 The colliery closed in 1859 and the tunnel remained closed for almost 80 years until World War 2, when the section of it which ran under the centre of Newcastle was converted to be used as a bomb shelter, with a capacity of 9,000 people. (Source: SiteLines). 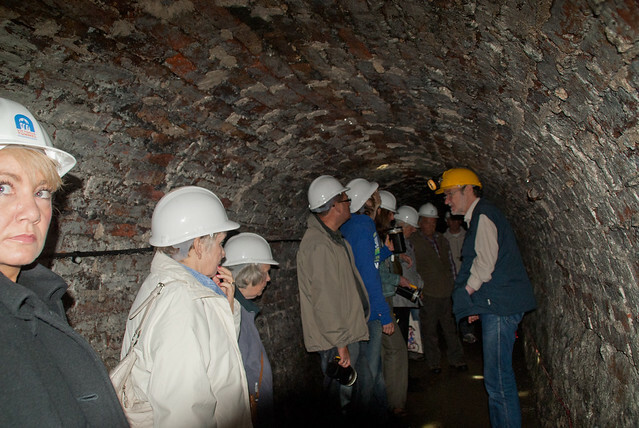 Guided tours are organised by the Ouseburn Trust. When it opened in 1835, the Leazes Main or Spital Tongues colliery was one of many coal mines around Newcastle. The Industrial Revolution was in full swing: demand for coal was high and the competition was great. Initially, the coal was carried on carts from the colliery through the streets of Newcastle upon Tyne to the river, ready for shipping. 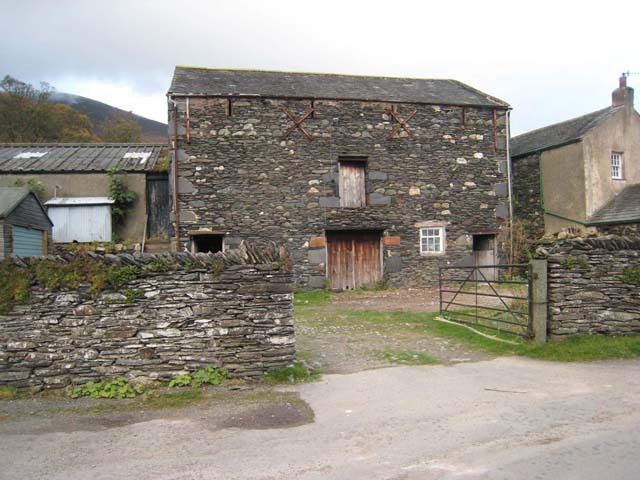 This was slow, as the town was largely still in its medieval layout, with narrow cobbled streets (Grainger Town was still in the early stages of construction) and expensive because of the road taxes. 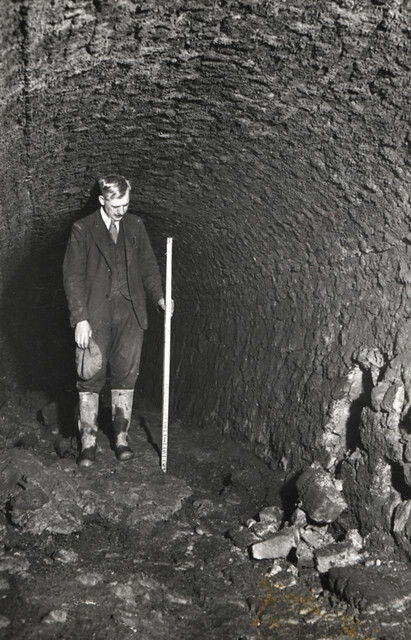 Porter and Latimer, the colliery owners, therefore employed a local engineer, William E. Gilhespie, to construct an underground wagonway. An overground waggonway following much the same route was mooted, but the Freemen of Newcastle would not give permission for tracks to be laid across the Town Moor. A more direct route to Elswick, about two miles upstream from the mouth of the Ouseburn, was also ruled out, because the old Tyne Bridge (the Swing Bridge would not be built until 1873) prevented ships sailing beyond Newcastle. Building a staithe here would involve having to pay the keelmen to take the coal downstream of the bridge before it could be loaded into the colliers, thereby significantly reducing the profit margin on each load of coal shipped. 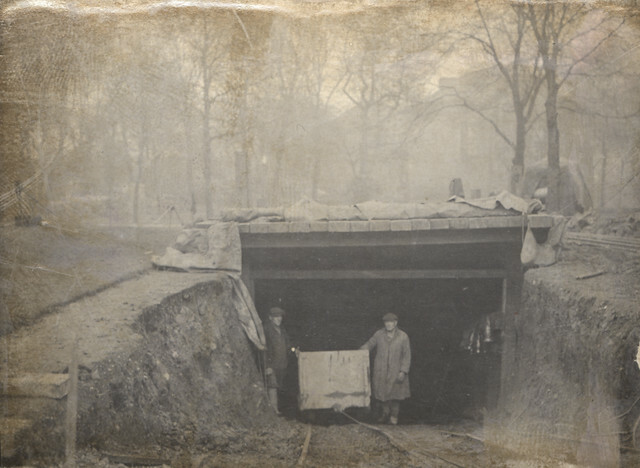 Permission to build the tunnel was granted in 1838 and work started the following year. 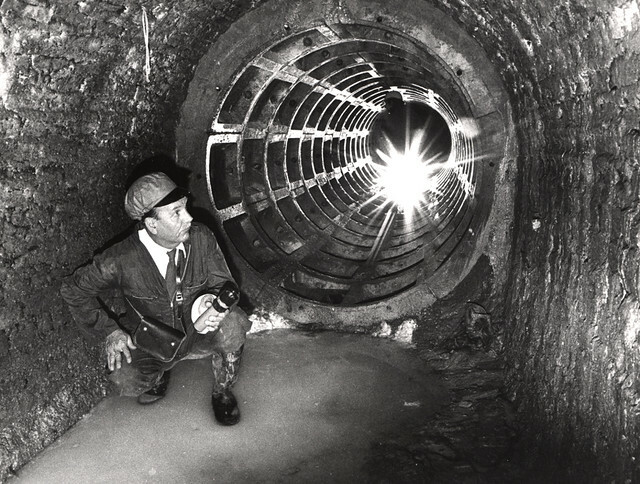 The tunnel was probably dug in sections. 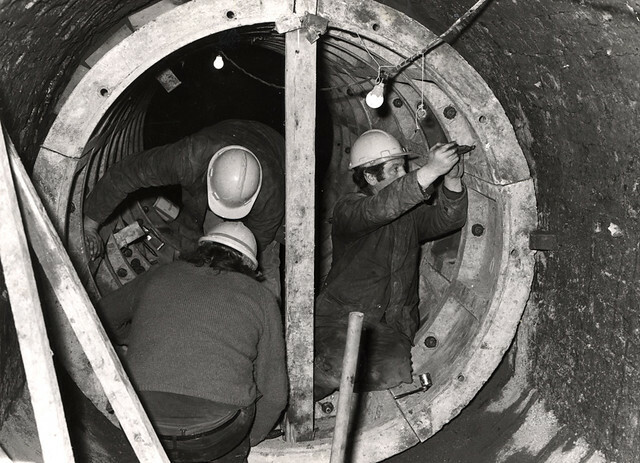 The engineers would have excavated a shaft down to the right level then tunnelled out to link up with the next section. 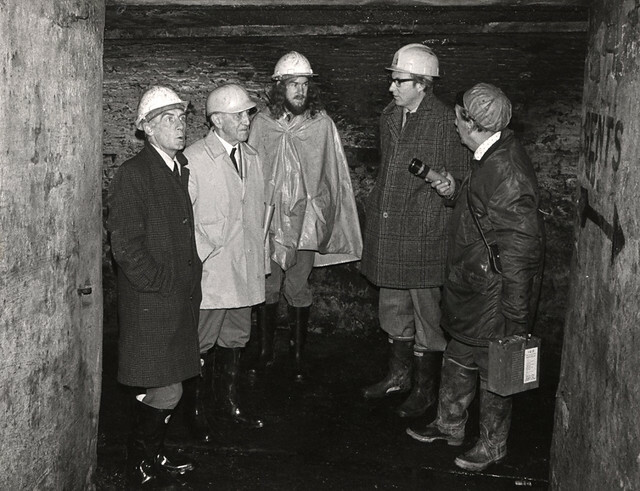 John Cherry was appointed to manage the tunnelling, he was a former Yorkshire Lead Miner who had previously been employed as a miner at the Leazes Main Colliery. Building works were carried out by the firm of Mr David Nixon, a builder of Prudhoe Street, Newcastle upon Tyne. Some 200 workers were employed in the construction of the Tunnel and Thomas Fordyce in his Local Records for 8 January 1841 reported 'The workmen, to the number of two hundred, were regaled with a substantial supper and strong ale, supplied by Mrs. Dixon, the worthy hostess of the Unicorn Inn, Bigg-market, Newcastle. The Albion band attended, and enlivened the joyous occasion with their music'. 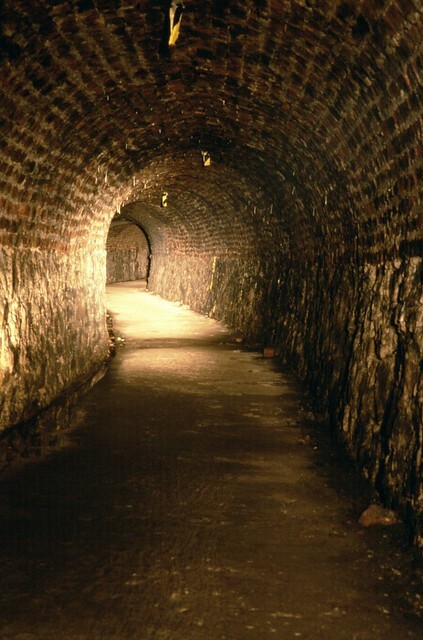 The walls of the tunnel were lined in stone, and a double brick arch supported the roof. It is approximately high and wide. This was just large enough to accommodate the custom-built chaldron wagons. 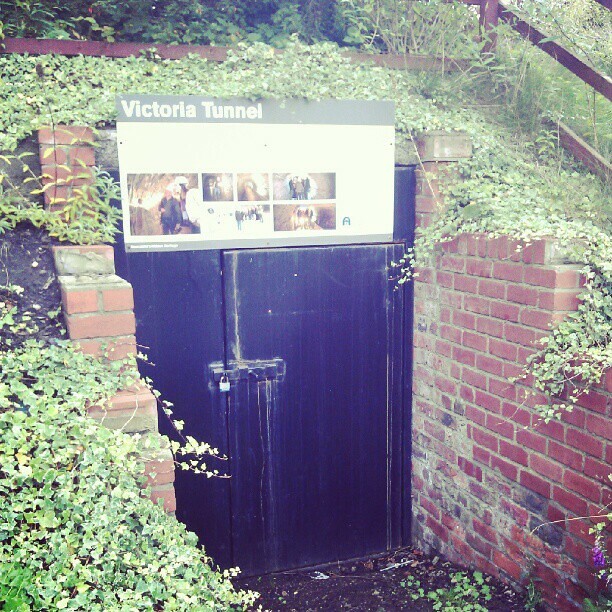 The Victoria Tunnel was named after the popular, young Queen Victoria. It was officially opened by the Mayor of Newcastle on 7 April 1842. A crowd of spectators including the sheriff and important merchants gathered on the quayside and at 1pm cannons were fired as a train of eight wagons appeared out of the tunnel. Four of the wagons contained coal, and the others a “company of ladies and gentlemen and a band of musicians”! Seven new entrances were completed: Claremont Road, Hancock Museum, St Thomas’ Churchyard, Ridley Place, Shieldfield Green, Crawhall Road, and Ouse Street. 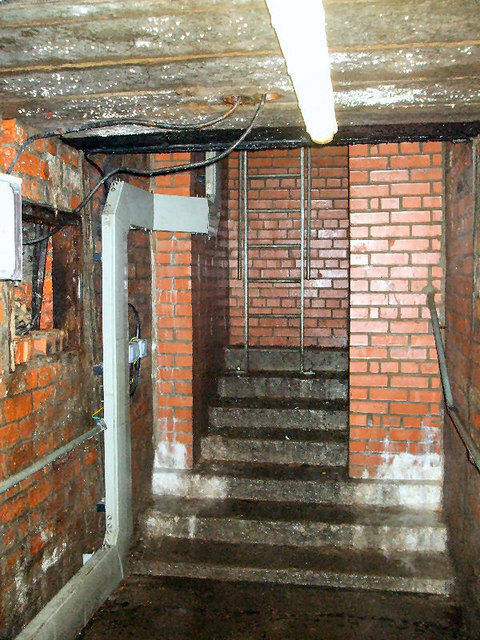 At Ouse Street it was possible to walk straight into the tunnel, but the other access points looked like subway entrances and involved walking down a steep corridor. 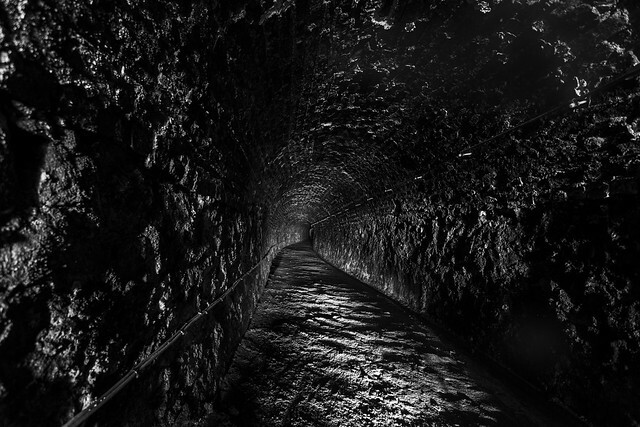 There is no doubt that the tunnel was a dark, damp, and uncomfortable place to shelter. Many people were afraid to use it. 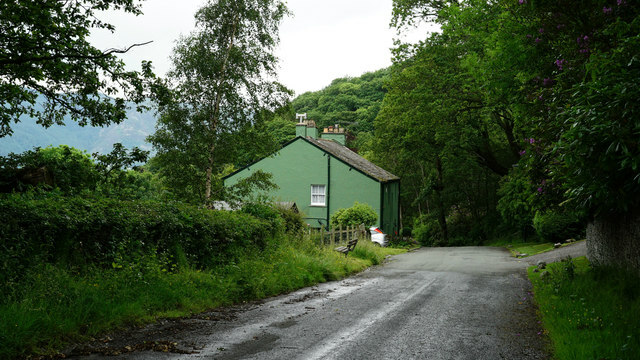 Those who did remember sitting with their families and neighbours, exchanging gossip and often singing songs while waiting nervously for the “all-clear” from up above. 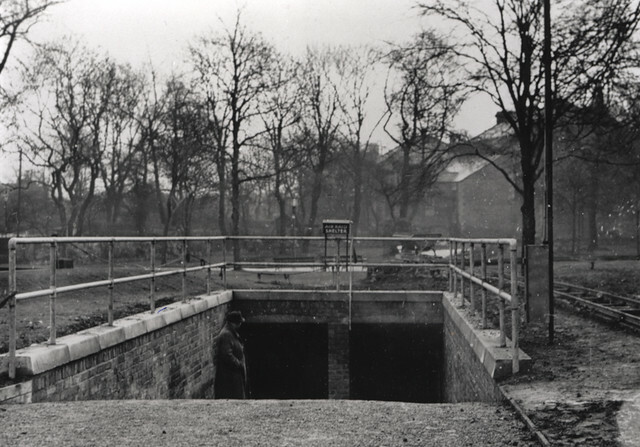 At the end of the war, most of the fittings were removed and all of the entrances except Ouse Street were closed. 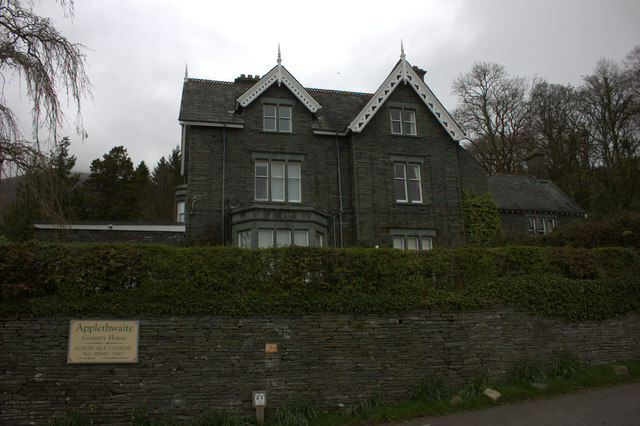 This entrance had been built on private land: the garden of number 14 Ouse Street. Guided tours are available. Text from Wikipedia, available under the Creative Commons Attribution-ShareAlike License (accessed: 08/04/2016). 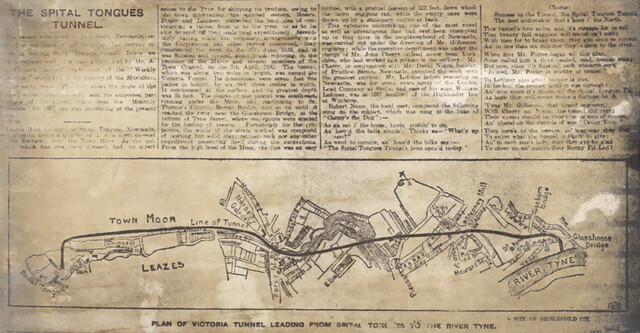 Visit the page: Victoria Tunnel (Newcastle) for references and further details. You can contribute to this article on Wikipedia. 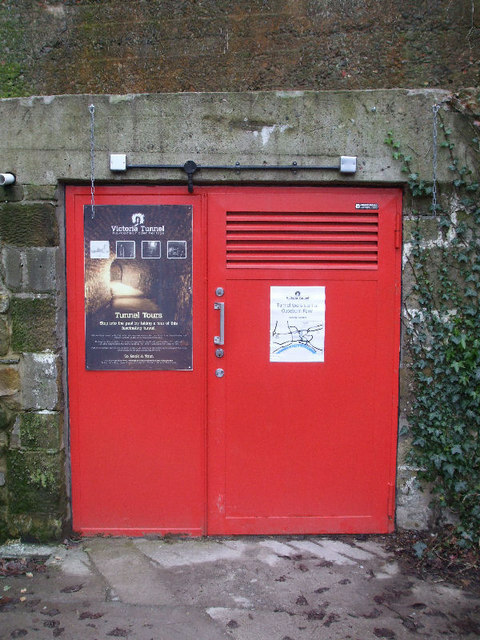 A section of the tunnel in the Ouseburn Valley is still accessible via a WWII entrance on Ouse Street. 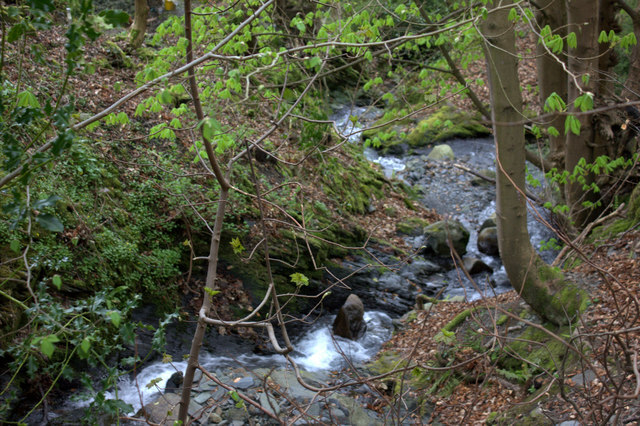 A programme of visits was first established by the Ouseburn Partnership in 1998. After a period of closure in 2006, the City Council carried out a programme of structural repairs and public safety measures, funded by the Heritage Lottery Fund and Tyne & Wear Partnership. 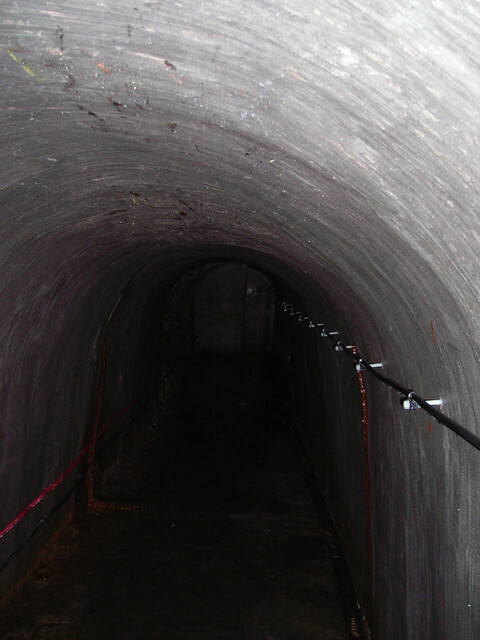 The Victoria Tunnel Education Project developed a number of resources about the tunnel and organised public tours and school workshops from 2009. 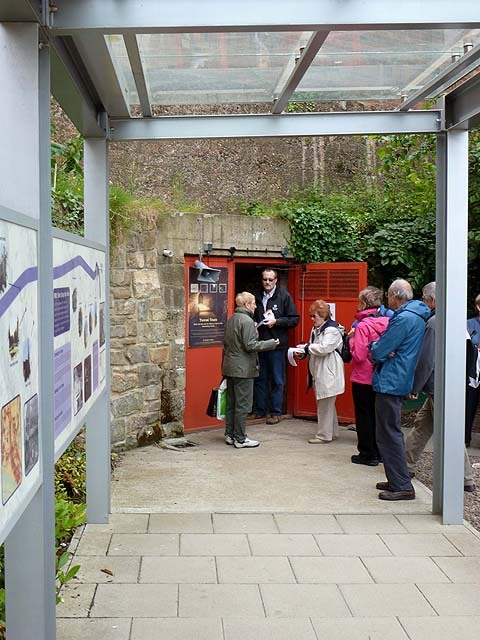 From 2010 the Ouseburn Trust has run guided tours. A sound and light installation, commissioned from artist Adinda van 't Klooster, focuses on the themes of war, fear, and nuclear weapons, using the codenames of British military research projects as a backdrop. 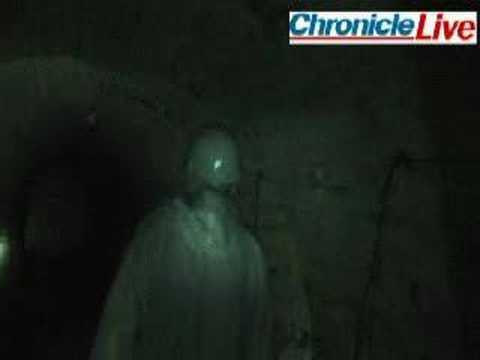 Victoria Tunnels, Ouseburn. Newcastle Upon Tyne, North East England.